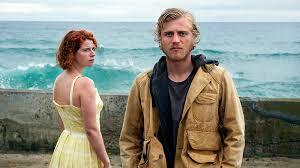 Set in the idyllic setting of Jersey, Beast tells the tale of a troubled woman (Jessie Buckely) living in an isolated community who finds herself pulled between the control of her oppressive family and the allure of a secretive outsider (Johnny Flynn) suspected of a series of brutal murders. A film that's release has been highly anticipated largely due to the fact that it is the maiden feature film of director Michael Pearce (who also wrote the film) and Killarney's Jessie Buckley, who's recent television works include the BBC's adaptation of War and Peace and Tom Hardy's Taboo, Beast has long been earmarked as that sleepy indie film that may make waves in the mainstream market .Whilst, admittedly this may not be a film for everyone due to it's dark overtones and at times languid pace there is an awful lot to like and Pearces direction and Jessie Buckley's performance are central to all that is good about this haunting thriller. Whilst a lot has been said of Buckley's performance and how important she is to the film, I feel that even these plaudits were underselling her role - she simply is the film. The Kerry actress dominates every scene she is in and delivers as powerful a leading actress performance as you are likely to see in the cinema this year. Pearce's direction is also noteworthy, as he perfectly captures both the beauty and danger of the setting of Jersey Island and creates an atmosphere that whilst may resemble Wuthering Heights and Sleeping with the Enemy at times also has his unique stamp on it. The haunting score, stunning cinematography and commendable supporting performances from the likes of Johnny Flynn and Geraldine James also add to quality of the production but this is the Jessie Buckley show and she does not disappoint. It's eerie atmosphere may unsettle some viewers but overall Beast is psychological thriller that will keep you guessing until the very end and if you have had a bellyful of the Avengers may just be movie for you.